This is a square Sunshine Biscuits porcelain sign. This particular Sunshine Biscuits sign is red and blue with white text. 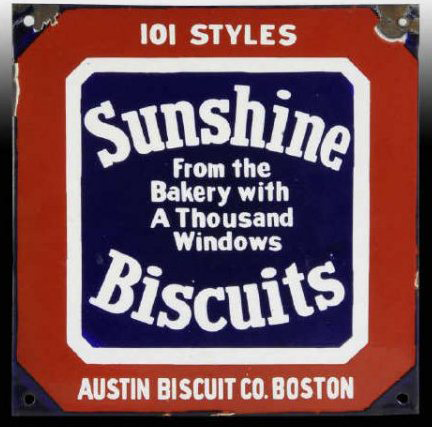 It reads, “101 Styles, Sunshine Biscuits From The Bakery With A Thousand Windows, Austin Biscuit Co. Boston”.